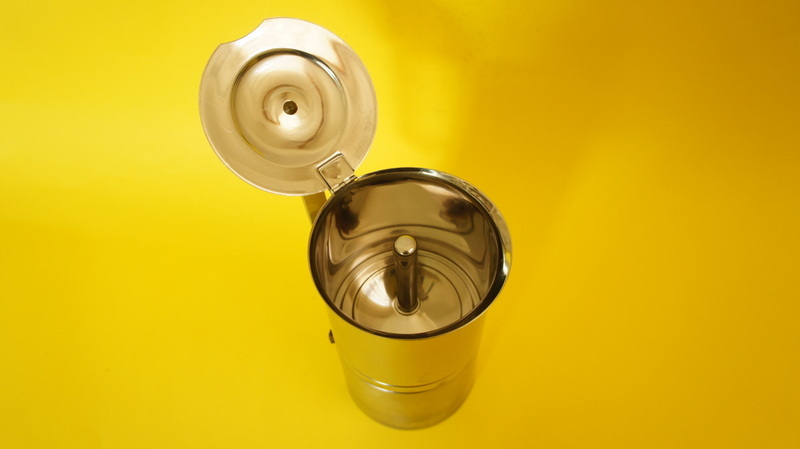 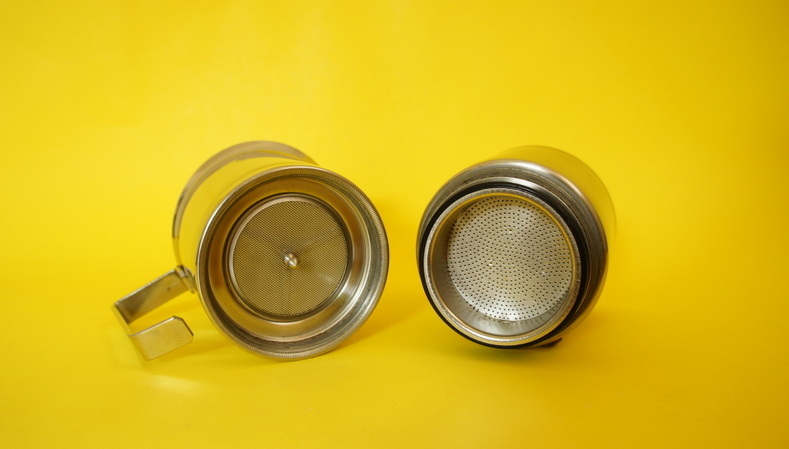 I have to say, I definitely have a preference for stainless steel coffee pots. 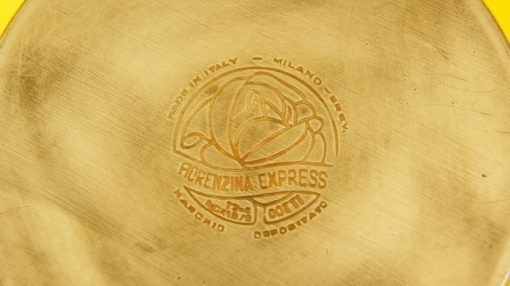 Aside from health reasons (some people have an issue with aluminium), I just prefer the look of them – a bit more bling! 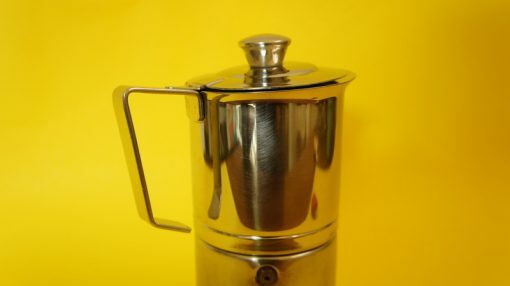 This is a really nice example, with a solid masculine handle, and the most wonderful maker’s mark (I know it shouldn’t matter, but it does). 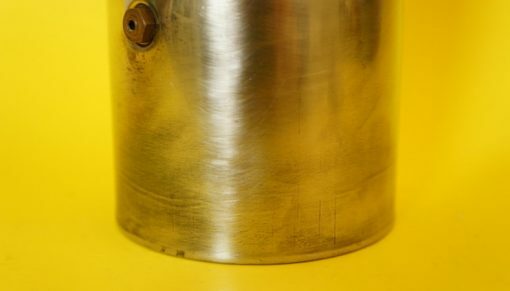 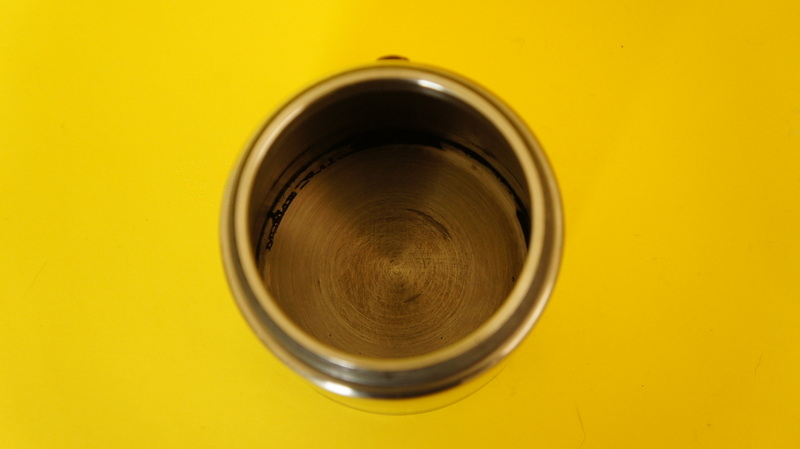 The base of the pot isn’t quite as shiny as it should be, presumably from the heat from the stove, and there are some stains on the inside of the base pot, but the rest of it is pretty clean. 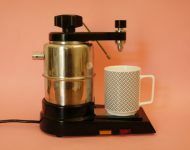 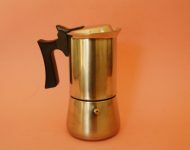 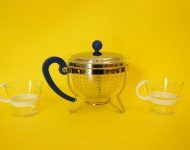 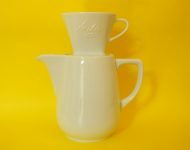 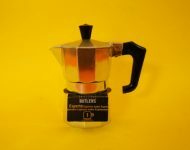 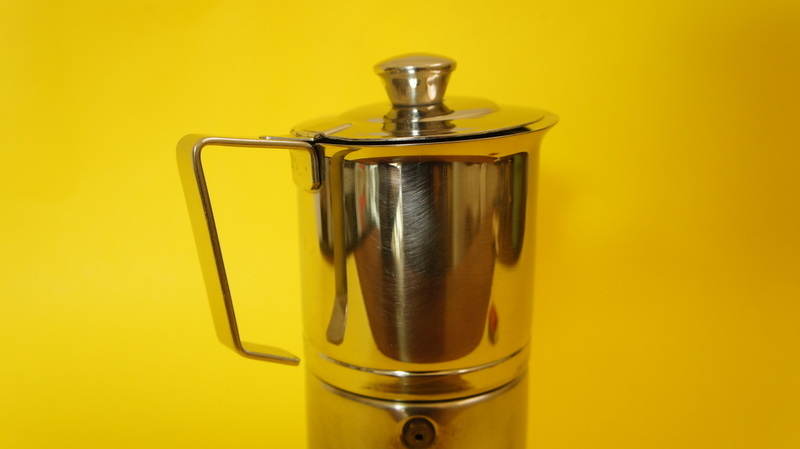 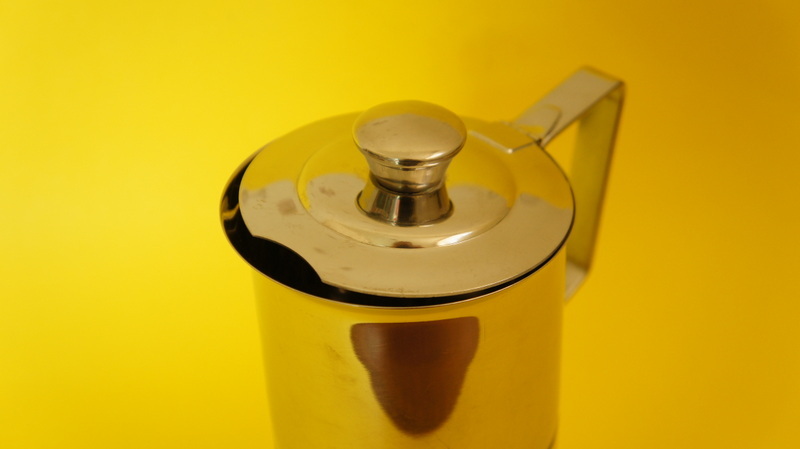 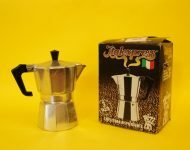 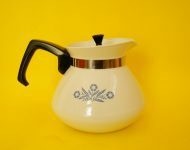 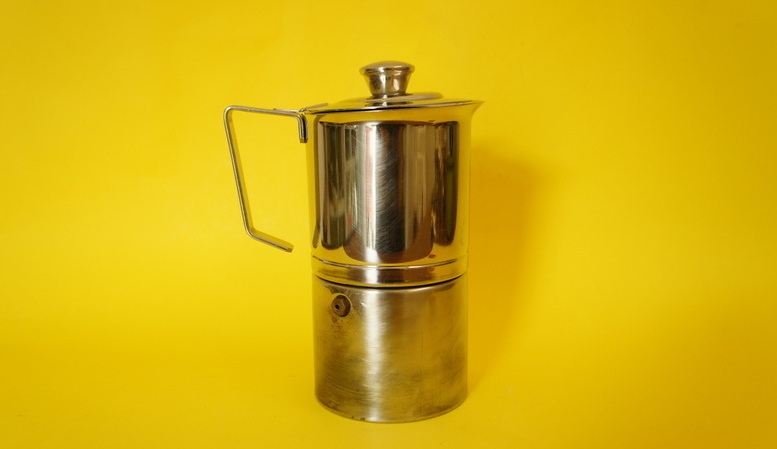 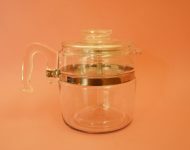 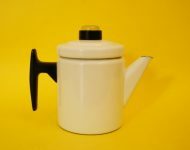 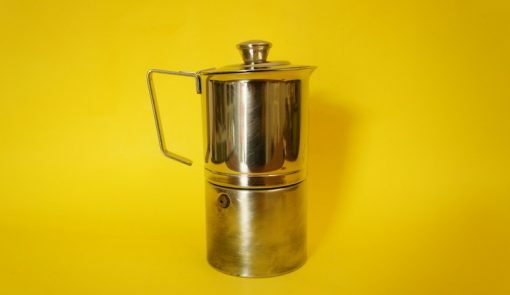 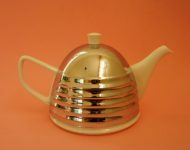 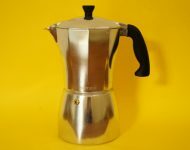 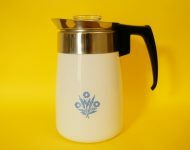 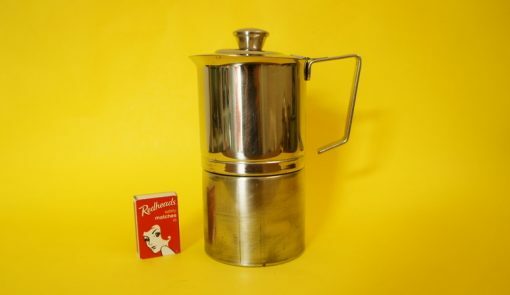 A very stylish, and I think pretty decent quality coffee pot, that will look fabulous sitting on your stovetop!